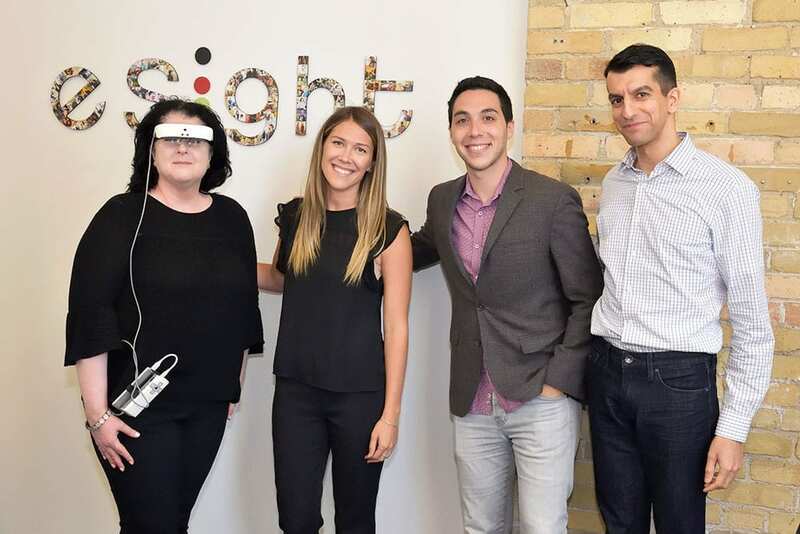 In our continuing Toronto’s Top Startup Jobs series — weekly profiles of some of the top startups in Toronto on the hunt for new talent — we feature eSight, a fast-growing company that is looking to fill a range of roles, from marketing and sales to admin and fundraising. Want to join a great team? Advance your career? Read on! Technology that allows legally blind people to see makes for very moving testimonials. Toronto-based startup eSight has recorded hundreds of these stories — each one as profoundly moving as the next — as people outfitted with their electronic glasses in the company’s “dream room” suddenly see the world around them for the first time. This is a company where employees witness wonder and amazement every day, so if you’re looking for a job that truly gives back, this could be the place for you. 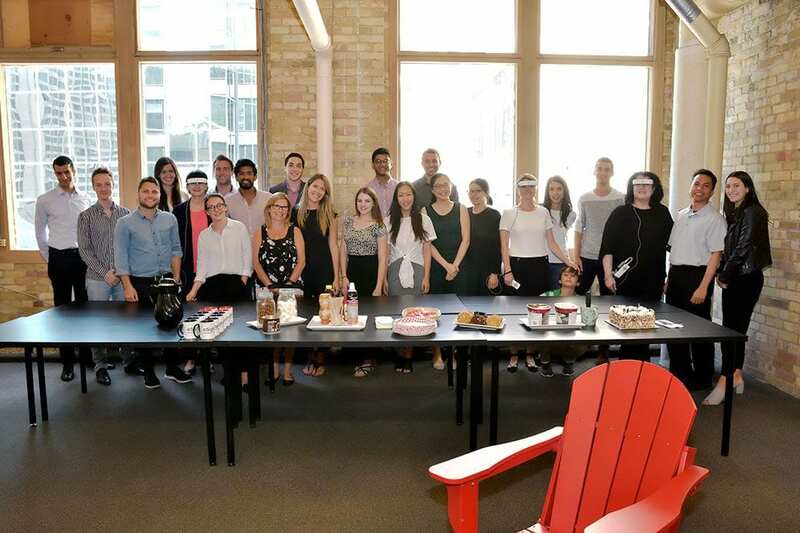 eSight is looking to fill a range of roles in their Toronto office, from marketing and sales to admin and fundraising. Heads up for potential hires: “Be prepared to cry and show empathy, and be prepared to make a tangible social impact,” says Abbas Damji, Chief Operating Officer. These are like superman glasses for everyone. eSight’s guiding principle is that everyone deserves to see — no matter their age, occupation, cause of vision loss or ability to pay. Out of the estimated 300 million people in the world forced to cope with low vision or legal blindness, an overwhelming majority would benefit from eSight’s glasses. The youngest patient so far was a four-year-old in Texas, who was told by doctors that he would likely never see. eSight changed that. The oldest client was a 97-year-old retiree in Florida. An avid bridge player, she was delighted to actually see her cards. Each pair of glases costs USD $10,000, which is out of reach of some customers, but eSight is working to have their glasses covered by insurance providers or subsidized by the government. The company also helps potential users find possible sources of funding (for example, charities, foundations and philanthropists) and looks for celebrities, artists and actors who can help spread the word and support eSight. Staff gathering for a birthday celebration. Think you would be a good candidate to work at eSight? eSight’s current headcount is just shy of 100 people, but the company intends to double in size within a year. It’s no surprise that a company that specializes in supporting people with disabilities is up for all kinds of challenges. Pia Simone, an eSight Ambassador and Vision Advocate, doesn’t let her limited vision stop her from arranging a skydiving excursion for the staff. The company has also considered bowling and axe throwing is also on the horizon, says Jeff Fenton, Director of Marketing. 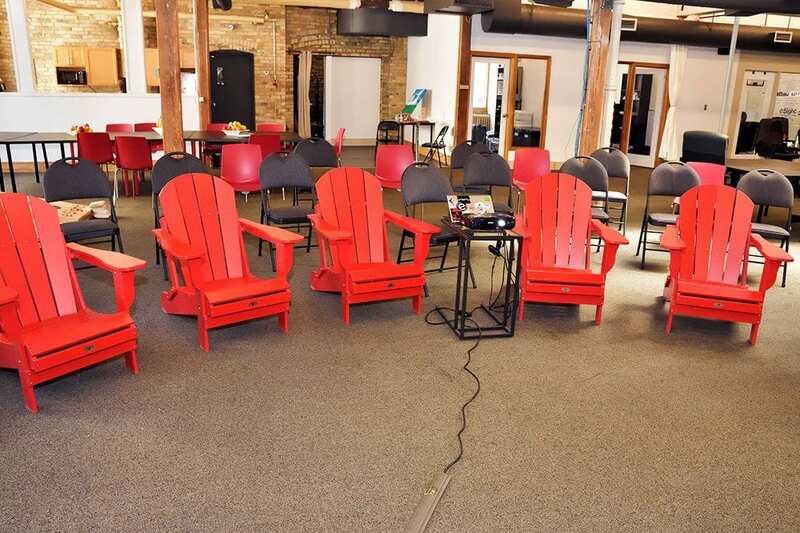 Located in the middle of downtown Toronto on Front Street close to Union Station, the office has a relaxed vibe with quirky additions like cottage country chairs. Accessible. Of course. It’s strategically located near the UP Express for quick airport runs, as well as the Go train, VIA Rail and the subway. But the location also comes in handy for those who want to hit the waterfront when “we all just want to go blow off some steam and have a drink by the water, or go for a bike ride down by Cherry Beach,” says Abbas.